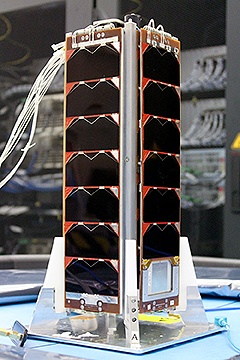 KazSTSat and VESTA, two smallsats designed and manufactured at Surrey Satellite Technology Ltd. (SSTL), are due to launch on Spaceflight’s SSO-A SmallSat Express Mission on board a SpaceX Falcon 9 launch from Vandenberg Air Force Base later this month. 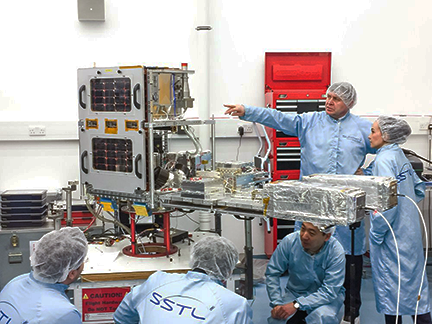 KazSTSat during assembly at SSTL. Photo is courtesy of SSTL. KazSTSat is a small Earth Observation (EO) satellite jointly developed by SSTL and JV Ghalam LLP, a joint venture between JSC "National Company Kazakhstan Garysh Sapary" (KGS) and Airbus. The satellite has a mass of 105 kg. and will acquire image data at 18.7 meters GSD with a swath width of 275 km. Photo of the VESTA smallsat. VESTA nano satellite. Image SSTL/Emily Kelly. The spacecraft carries several experimental and demonstration units, including a beyond diffraction limit imager, a sun sensor, and a novel OBCARM. KazSTSat will be operated by Ghalam using a fully virtualized ground segment with S/X-band software defined back-ends deployed at KSAT ground stations in Svalbard and a technology demonstration ground station in Astana. 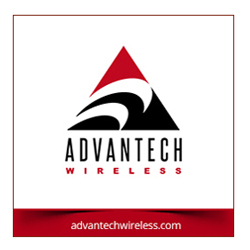 Innovative Solutions in Space for the VDES transceiver. VESTA will be operated in orbit by SSTL, with the payload data being downlinked directly in S-band to Goonhilly Earth Station. The development of VESTA was co-funded by the UK Space Agency through its National Space Technology Program (NSTP), which stimulates the growth and development of the UK space sector through investing in technology development. The project was led by Honeywell.